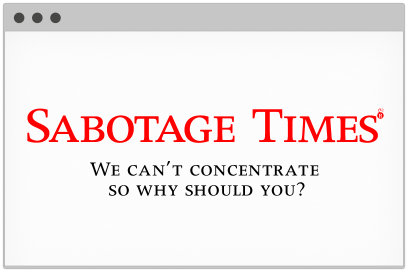 Sabotage Times is an online magazine launched in May 2010 by James Brown. All the distribution of content is done peer to peer through social networking sites. The website audience has grown to over 700,000 Unique Visitors a month. The brainchild of former lad mag editor James Brown with a healthy mix of online articles to keep you entertained.